Fig. 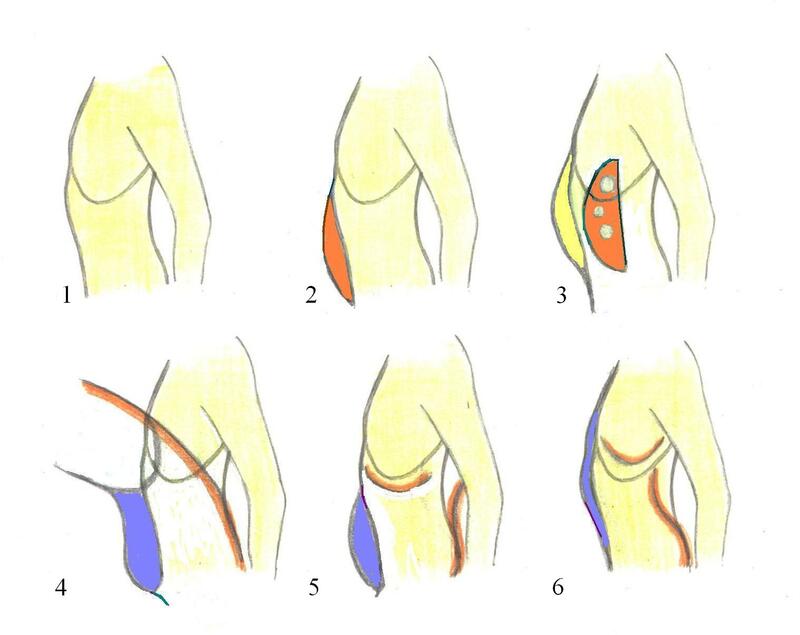 2: Increase of subcutaneous fat tissue of the abdominal wall tends to enlarge the lower part of the abdomen. Fig. 3: Increase of intra-abdominal fat issue enlarges predominately its central part. Fig. 4: Ventral inclination leads to the protrusion of the abdominal wall. Fig. 5: Expiration and backwards shifting of the lumbar vertebrae move the abdominal content ventrally. Fig. 6: Inspiration and forward shifting of the lumbar vertebrae move the abdominal wall towards the thoracic cavity.